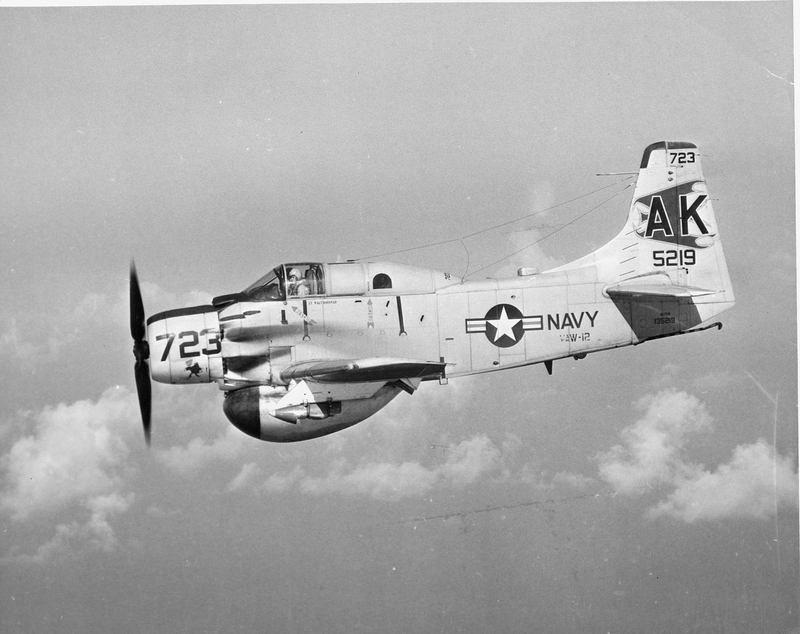 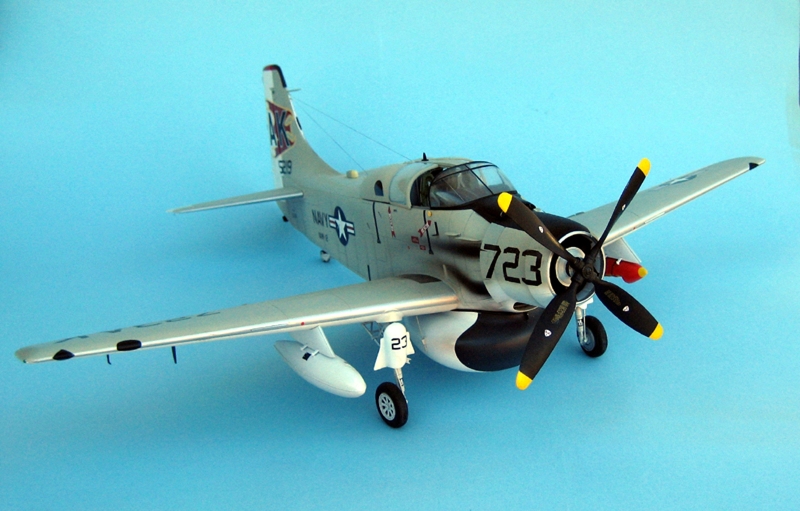 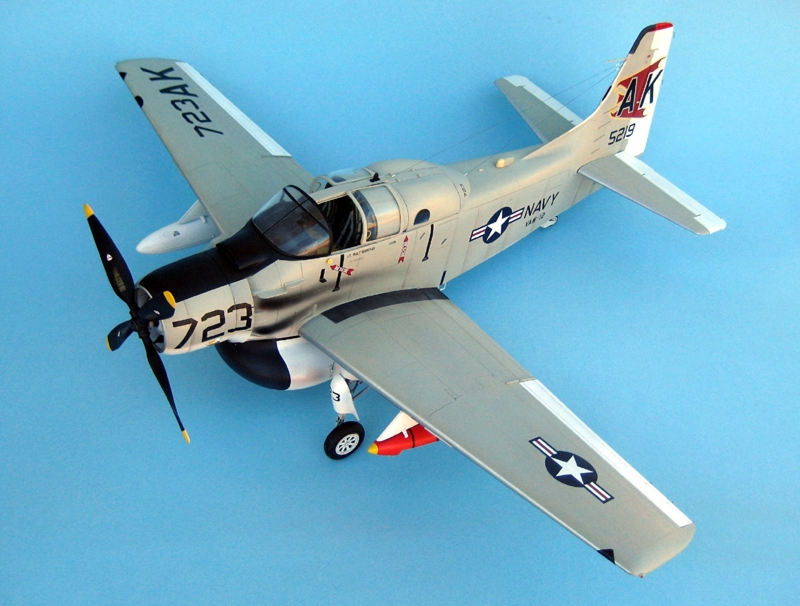 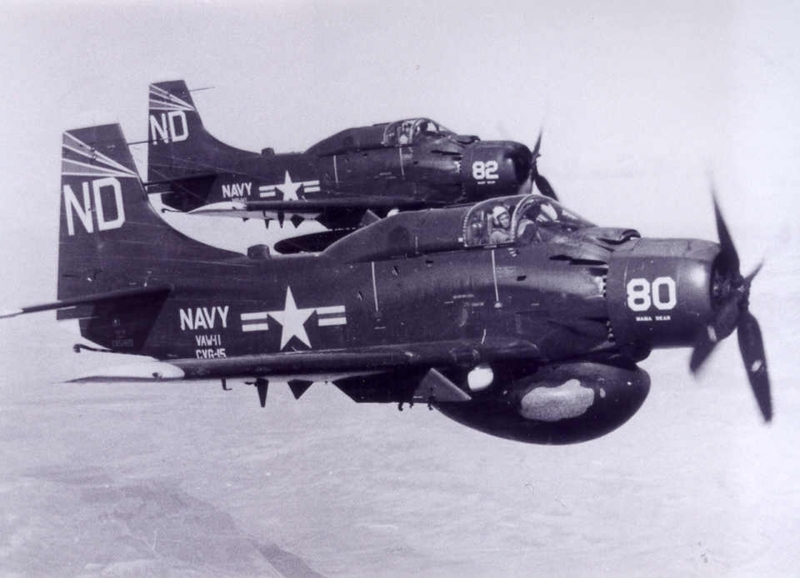 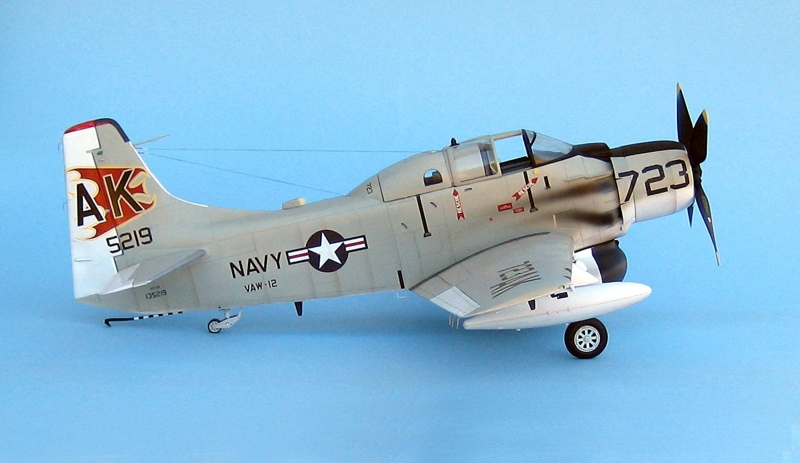 The AD-5W " Guppy" was the AEW / ASW variant of the famous Fat Face Skyraider.The conversion includes a complete fuselage and corrected engine cowl as well as the complete cockpit and aft cabin electronics suite unique to the Guppy.The giant APS-20 radar dome is hollow cast for light weight and the unique metal aft cabin hood with portholes is included.Even the under fuselage belly plate has the modifications for the radio access hatch. 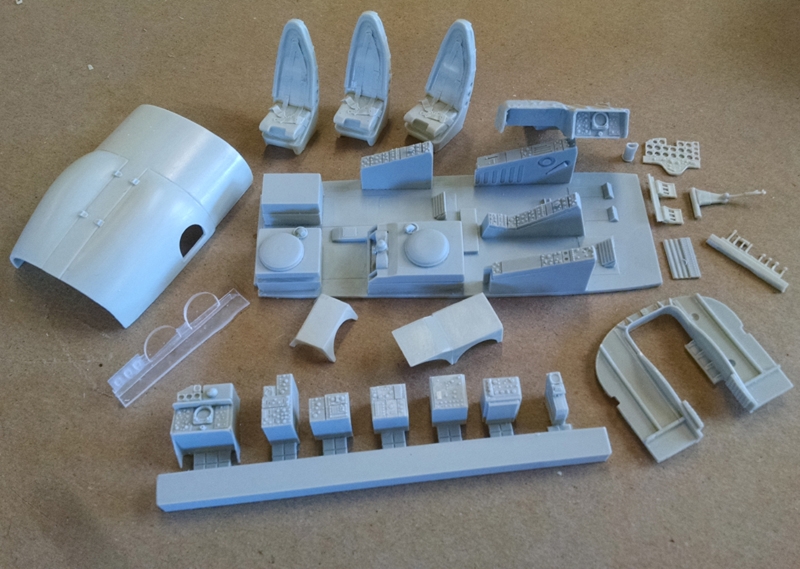 For the detail minded modeller, the radar operators' cabin has more black boxes that you can shake a stick at, as well as the mounting platforms.The aft cabin cover is molded so it can easily have the clamshell hatches cut away for display in the open position to show off all the myriad components of the radar station.Decals for one gull gray over white and one glossy sea blue ship ( Both with nose art! ) 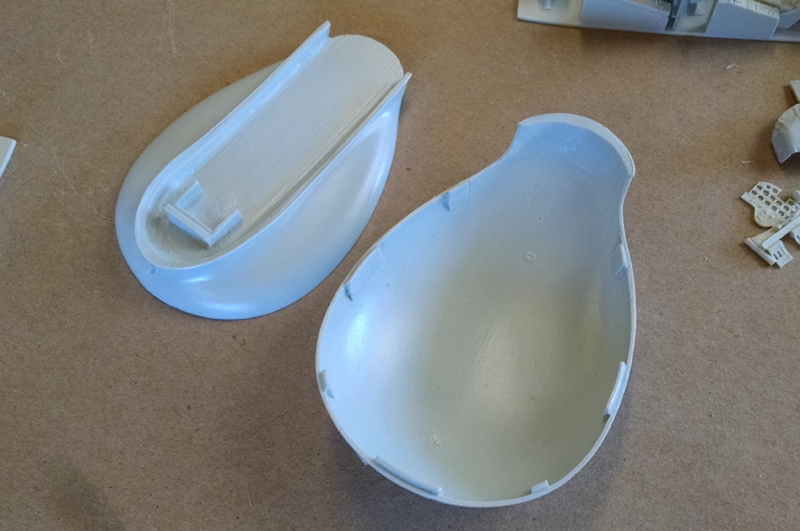 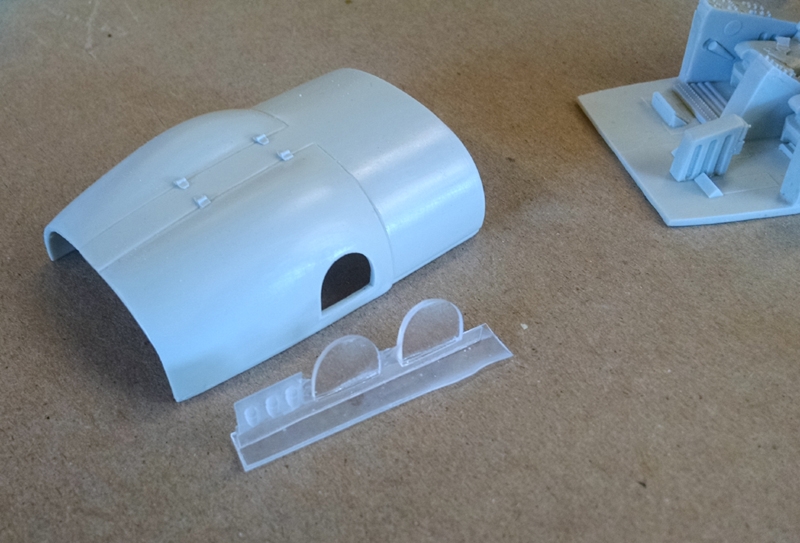 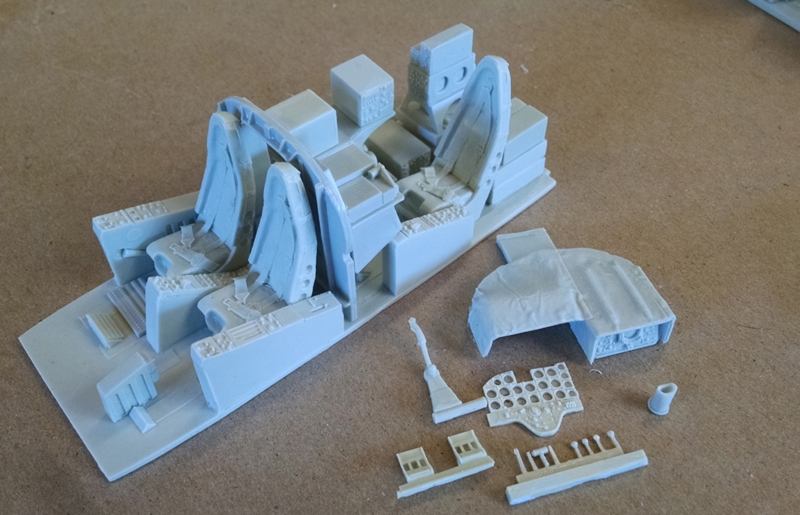 are included, along with clear cast resin windscreen and pilot's hatches.